Many organizations are testing blockchain solutions today as demonstrations and trials, while relatively few “blockchain compliant” systems are in mass scale production. The reason for this is understandable. Some firms hold back because of the mass complexity and development costs of re-writing systems that already work fine. Others are on the fence because they don’t know the policy implication and even what might not even be legal in the near future. What is interesting to note is that every one of these items above can be done without employing a complex blockchain-based system. It is just that the infrastructure to do all of this in one neat, well-defined, scalable, secure, de facto-standard approach has not been developed yet. One option is to wait a decade until the infrastructure is ready and tested. In fact, many ventures have proposed solutions to the current trilemma of not being distributed, secure, and scalable. We don’t have that utopian solution yet, but we likely will eventually have it all in one platform. 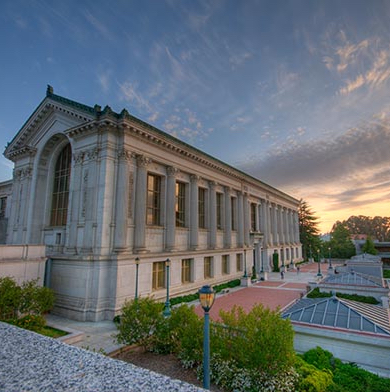 However, what we have found in our work at the Berkeley Blockchain Lab is that it is practical and possible to develop systems and applications that have all of these capabilities today by being smarter about the solution design and by using a better mix of pre-existing components. It is true, we don’t even need to throw out the existing code base that we already have. If you think about it, we have automated contracts that run every day in code. If you don’t pay a credit card bill, you get a late fee. That “is” a smart contract. It is just not distributed and it is not tamper proof – meaning that someone could change the rules or the amount of the fee and you may not be able to tell. But suppose it is possible to add resilience, tamper-proofing and blockchain compliance as a feature without significantly changing the existing code base, redesigning and re-testing, and adding additional concerns about policy. Instead, we can add the blockchain as an incremental capability. We have found that this is possible and practical to change the blockchain implementation complexity by an order of magnitude in the process. Definitely let us know, if you would like to collaborate on a real-life, practical, scalable, policy-safe, blockchain compliant application that actually makes sense to deploy.